Three beautiful young smiling woman in business clothes on a white background. 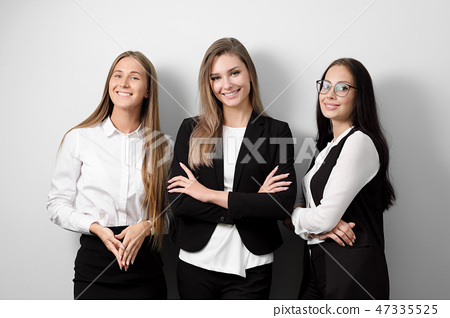 Stock Photo: Three beautiful young smiling woman in business clothes on a white background. Three beautiful young smiling woman in business clothes on a white background. A team of professional colleagues. White shirts, black suits and glasses.